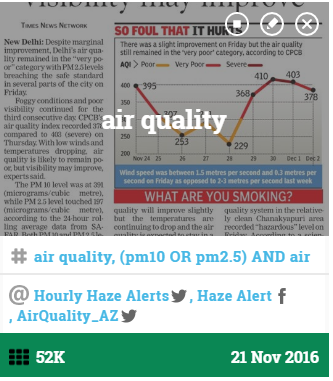 hackAIR is an open technology platform that you can use to access, collect and improve information on air quality in Europe. The project is moving towards a new phase of testing out sensors, platform development and engaging more and more potential users. Read what the hackAIR partners in Greece, Norway, Germany, Belgium and the Netherlands are working on at the moment! To link up with hackAIR, meet us at one of the following upcoming events – or just reply to this email. You are also welcome to join the Air Sensing Network, an email discussion group for organisations and initiatives working on participatory sensing on air quality. Keeping track of conversations and finding good people to follow on social media can be hard. Within hackAIR, this task has now become easier: As part of the project, we created a web tool to monitor and analyse a variety of social media platforms with open APIs. This helps us discover online communities and accounts related to air quality and track the impact of our dissemination activities on social media. Read more. Together with other projects focused on collective awareness platforms for sustainability and social innovation (CAPS), hackAIR participated in the Digital Social Innovation Fair 2017. 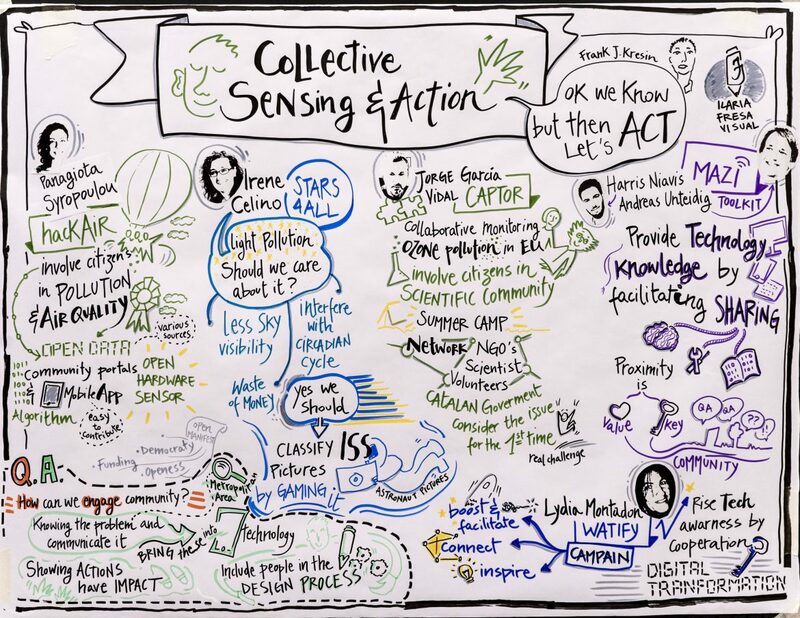 Our theme: “Collective Sensing and Action”. Panagiota Syropoulou from DRAXIS presented the latest news from the project and discussed important challenges in engaging users and handling user-generated information. Read more. 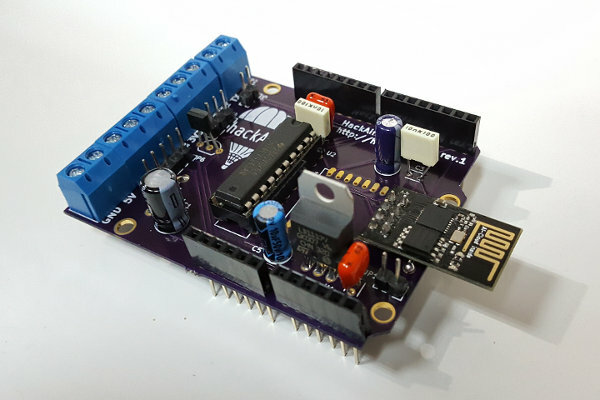 Things are moving in the background: the different parts of the hackAIR platform are slowly taking shape, and we’re busy planning for pilots and user engagement. Read more about who is working on what at the moment! @hack_air Jan 9: We're now included on the @DSI4EU Digital Social Innovation platform! ow.ly/awvY307P8RW. Other #participatorysensing projects there? This project has received funding from the European Union’s Horizon 2020 research and innovation programme under grant agreement No 688363. This publication reflects only the author's view and the Research Executive Agency or European Commission is not responsible for any use that may be made of the information it contains.